Ah, the Vanity Fair British Invasion shoot: where do I even start with this sweet highlight of 2015? Stunning shots of the many actors who have crossed the pond and made it big on screens in the US. The pages in the magazine were lovely, but the video and short film accompanying the shoot was to die for. First a video set to music and then a short film in three parts, staged to appear as if it’s a war time reel, images of all the prettiest of tuxedo and evening gown clad Brits, cutting to RAF planes flying over naval fleets preparing for battle. It’s a clever conceit and gets even more clever as you hear the Brits saying all sorts of quintessential American phrases, both from films and from our headlines. Of course, they’re all doing the Yank accent perfectly. Is it considered over-sharing to say that the shots of Damian Lewis and Michele Dockery took my breath away? Los Angeles sun in the windows, Damian in various states of dress in and out of a tuxedo, the just-there ginger scruff on his face. I’d have to check the calendar to confirm, but I think this must have been the beard in preparation for Henry, no? And next to him lovely Michele Dockery, whom I’ve loved as Lady Mary in Downton Abbey, shielding her eyes from the glare, of the sun, sure….though, according to my imagination the aura emanating from Damian must cause quite a fiery glare in its own right. Ah, another thing Lady Mary and I have in common, I thought. (ie Lady Mary is the oldest of a house full of sisters, she resents not being born a boy so she could have had more freedom, and, as if that’s not common ground enough, Michelle Dockery is a Sagittarius) So, I started imagining them in a project together. Damian said that Downton Abbey is a favorite of his, but I imagined something else entirely. In the film Damian and Michele do the memorable and much loved exchange between Humphrey Bogart and Lauren Bacall from To Have and Have Not, a film based on a Hemingway novel. You know how to whistle, don’t you, Steve? You just put your lips together and blow. And therein lies the impact I think of the recent influx upon our shores of talent from across the pond. They get the imagination stirring. The possibilities are staggering. 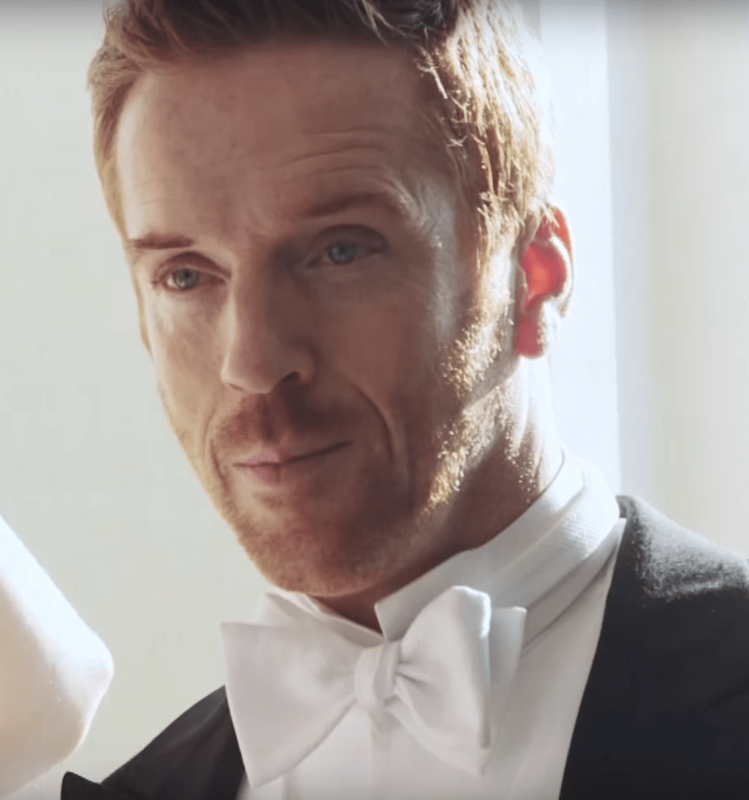 And no one does that better than Damian Lewis. Witness the sound of me hitting the floor. THUD. Next Next post: The Silent Storm Makes Landfall: Slow. Heavy. Intense.